Chances are, if you mention the phrase “gold rush” to anyone associated with the mining industry, they’ll know you’re talking about the most popular show on the Discovery channel, cable TV’s #1 unscripted series for three years running. With new episodes attracting as many as 5.5 million viewers, the series has propelled the network to the #1 non-sports broadcasting spot on all of TV on Friday nights. Currently in its eighth season, Gold Rush follows the exploits of three competing mining teams led by Todd Hoffman, Parker Schnabel and Tony Beets as they seek to extract the most placer gold from their operations. 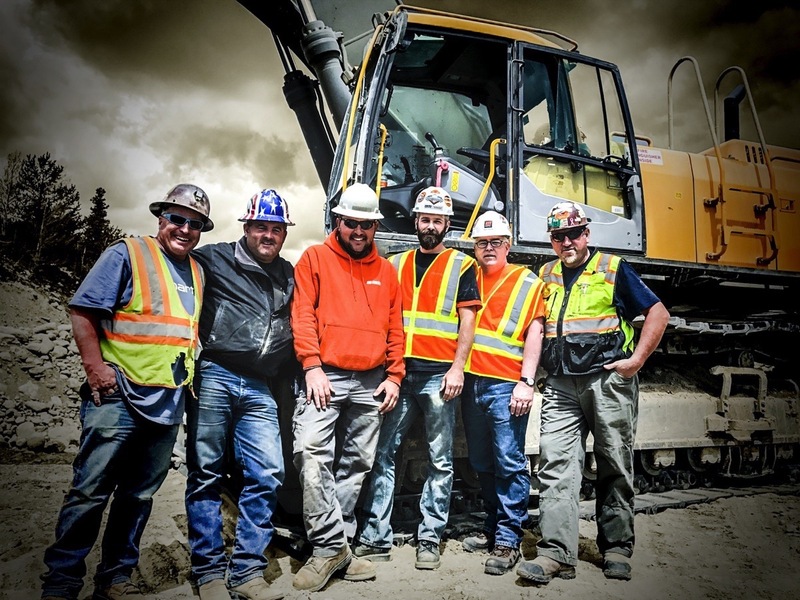 The Hoffman crew competes under the banner of the 316 Mining Company, with a team that includes Todd, his son Hunter and father Jack, as well as career miners Trey Poulson, Freddy Dodge, Andy Spinks and Jim Thurber. While their operations may be small by commercial mining standards, the competition is fierce, with season eight highlighted by a high-stakes wager between the Hoffman and Schnabel crews: 100 ounces of gold to the team that mines the most of the highly-prized mineral. From left to right: Freddy Dodge, Andy Spinks & Trey Poulson from Team Hoffman, with Seth Mercer, Kevin Mercer and Steve McKenna from Martin Engineering. With gold currently valued at more than $1200 an ounce, all three teams try to squeeze every last ounce from their operations, and they rely heavily on their conveyors to efficiently transport up to 300 tons per hour of raw material for 12 hours per day at 400-450 fpm (2-2.3 mps). Processing begins when dump trucks empty their loads into a hopper. Rocks larger than 6″ are scalped off, and the remaining load gets screened to separate the fines from the bulk. Fines are then run through a sluice box to wash out the gold particles. That’s when a chance meeting at a trade show gave Poulson the opportunity to meet representatives from Martin Engineering, one of the innovators and premier suppliers of components to make bulk material handling cleaner, safer and more productive. He stopped by the company’s exhibit at the event and started a conversation about some of the problems they were experiencing. 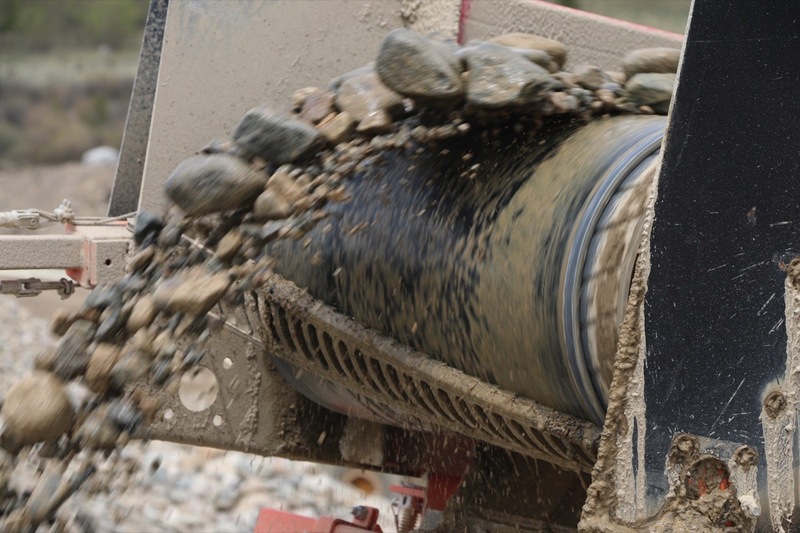 The reps were confident that Martin components could resolve the issues and help the Hoffman team in its quest to out-produce the competition, and Poulson gladly accepted the company’s offer to supply 316 Mining with high-efficiency belt cleaners. The CleanScrape design provides as much as 4x the lifespan of conventional belt cleaners. 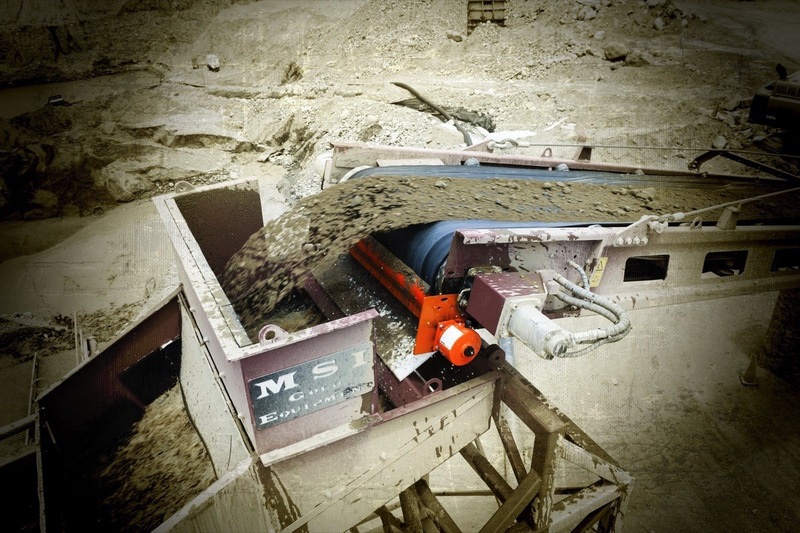 For the wet conveyor, the Martin technicians selected a heavy-duty primary belt cleaner that features unique technology to maintain the most efficient cleaning angle throughout its service life. Equally important given the time constraints of the competition, the blade features a no-tool replacement process that can be performed safely by one person in less than five minutes. For the secondary cleaner, a rugged design with individually-cushioned tungsten carbide blades was installed to withstand the punishing conditions. The heavy-duty primary belt cleaner can be replaced safely by one person in less than five minutes. 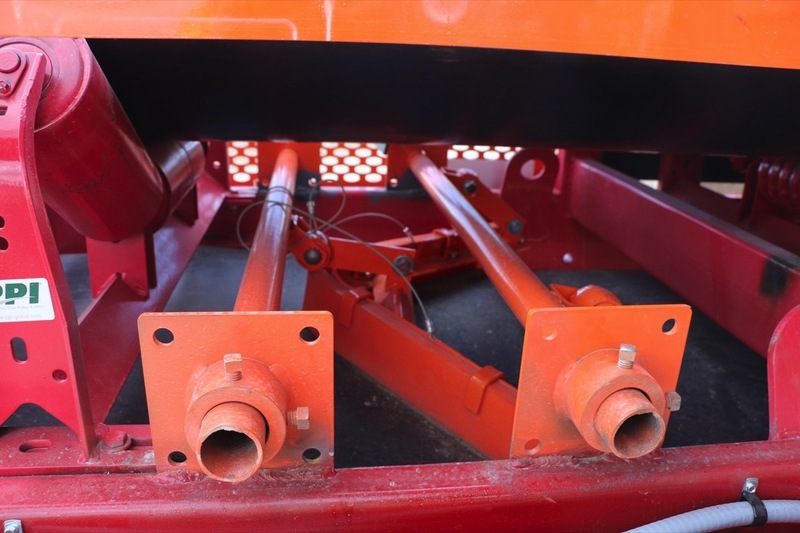 The V-Plow protects the tail pulley and belt from fugitive material on the return side. McKenna came through again, this time with a new design for a roller tracker to stabilize fast-moving belts. Based on a standard crowned roller, the tracking mechanism uses a unique ribbed lagging made of durable polyurethane to increase performance and wear life. 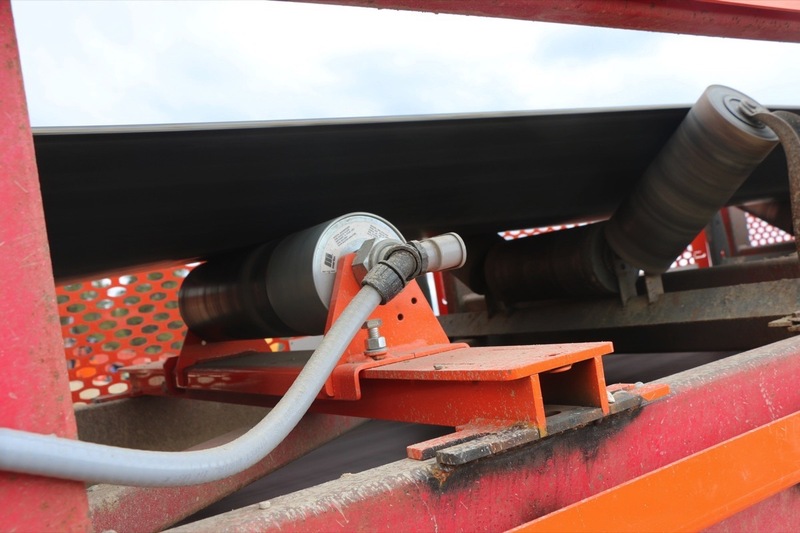 The roller does not come in contact with the belt edge, which minimizes fraying while delivering excellent tracking for single-direction or reversing belts. The result for the Hoffman crew is a more centered cargo load, less spillage and increased safety from the hazards of belt wander, leading to higher productivity and lower cost of operation. 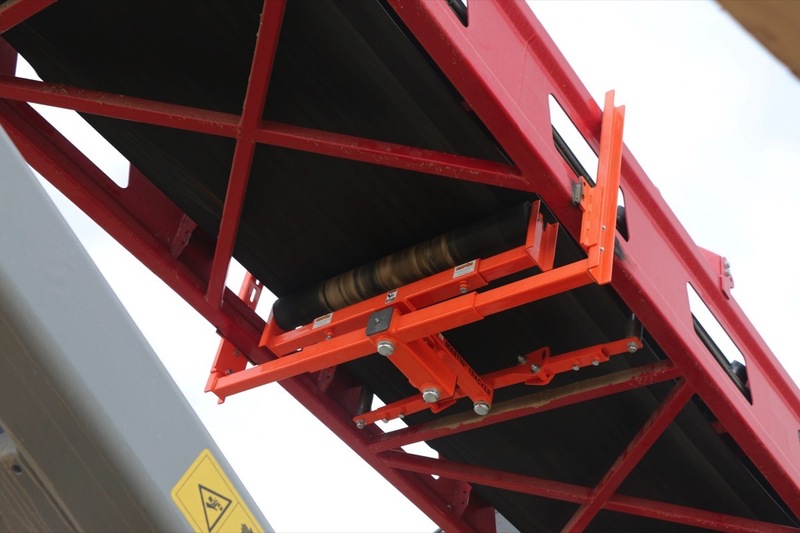 The Roller Tracker centers the cargo, reduces spillage and increases safety. Further safety enhancements included Martin Engineering conveyor guarding to protect workers from pinch points and other hazards. The modular guards allow workers to do their jobs with reduced risk and greater efficiency, while helping to ensure plant compliance with safety standards and regulations. 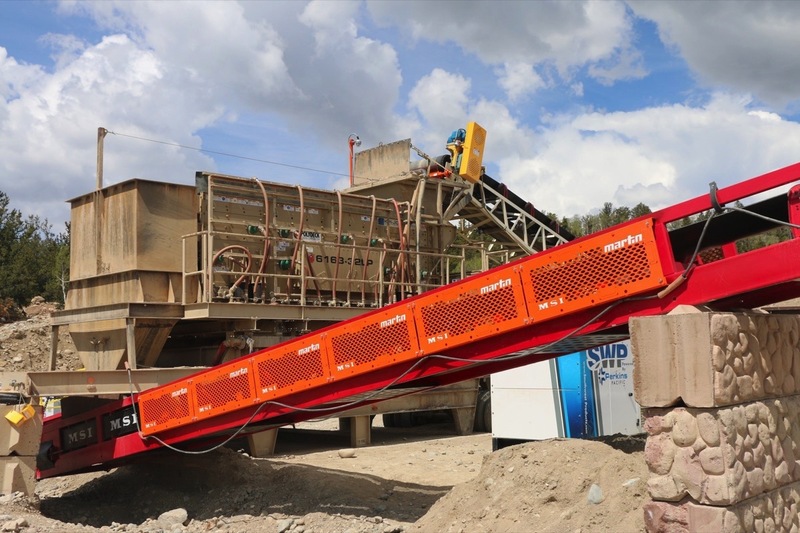 The user-friendly design of the new guards is seen in standardized panels that take a systematic approach to guarding, with the flexibility to fit virtually any conveyor design. Wedge clamps allow the panels to be removed and reinstalled quickly and easily, so systems can be expanded or relocated as needed. Modular conveyor guards protect workers from pinch points and other hazards. “No matter how large or small the mining operation, safety is the top priority,” said Poulson. “We’re no different. We want our crew members to go to bed every night with all their body parts intact.” The most recent Martin Engineering addition to the 316 Mining operation has been the installation of the company’s patented Roll Gen™ system, an innovative technology that uses the kinetic energy from a moving conveyor belt to generate enough power to run a wide variety of electrical or electronic systems. “There are limits on the operating hours at this location,” Poulson explained, “and we’re only allowed to run generators until 7:00 pm. With this system in place, it runs all day off the conveyor belt, storing energy in a battery bank. Then we use that stored power to run our security lights all night long. The Roll Gen system uses energy from the moving conveyor belt to generate power for lighting at night. Designed to create a self contained mini power station, it can be retrofitted on existing idler support structures, and operators are not required to maintain a special stock of conveyor rollers, as the generator can be employed on virtually any steel roller. “This device is considered a first step toward eliminating power production obstacles, as conveyors move into the next generation of ‘smart systems’ that are predicted to be more sustainable and autonomous,” McKenna added. I like that this pointed out the modular conveyor guards helps workers do their jobs with a reduced risk of injury and greater efficiency. My brother works for a factory, and even when the small objects fall off, it can really slow down his teams production. I think that adding a conveyor guard could really help his company save time and money.